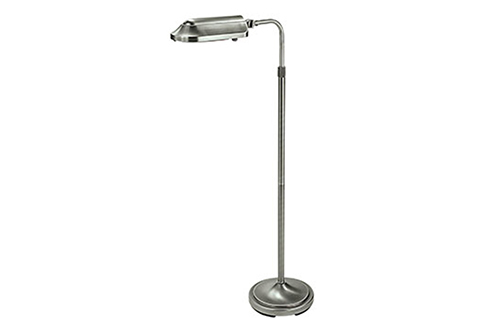 The Verilux Natural Spectrum Floor Lamp delivers sleek, sophisticated style while sharpening your vision. 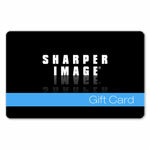 Its unique 27W fluorescent bulb simulates actual sunlight to relieve eyestrain and fatigue. There’s no buzz, no flicker or glare, so it’s easy and comfortable to read or enjoy hobbies for hours. 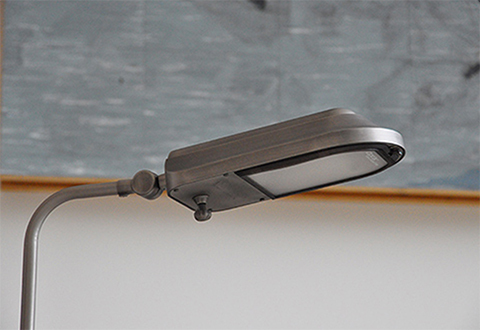 The metal head rotates 180°, swivels 360° and remains cool to the touch for easy positioning. 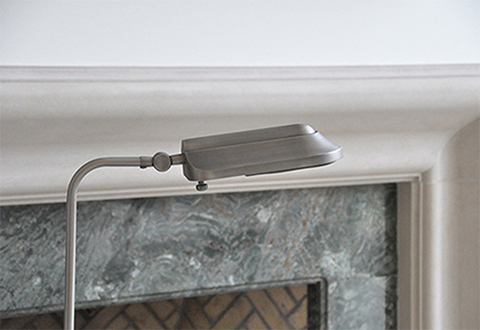 Height adjustable from 39" to 53", with antique brushed nickel finish. 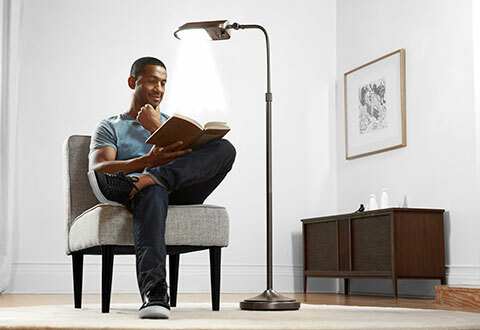 Read in comfort with the Verilux Natural Spectrum Floor Lamp. 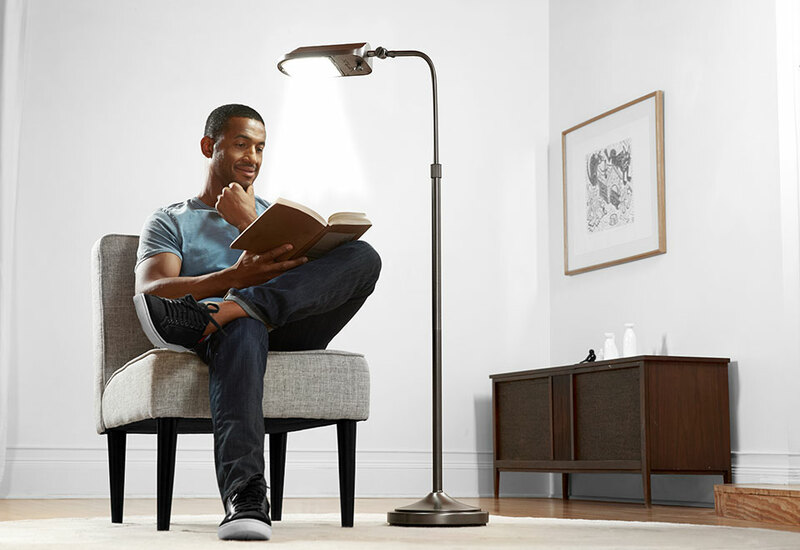 Its ergonomic design and patented bulb make it easy and comfortable to read for hours. • Height adjustable from 39" to 53"